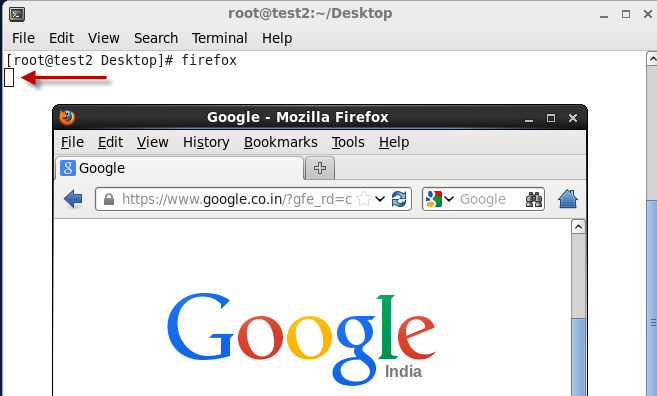 As you can see the firefox opened up on the background without occupying your terminal in the background. In this case the terminal used for running the process will be locked and as soon as you close the terminal your running process would be terminated. This can be seen mostly when you are running a very time taking script on a terminal. 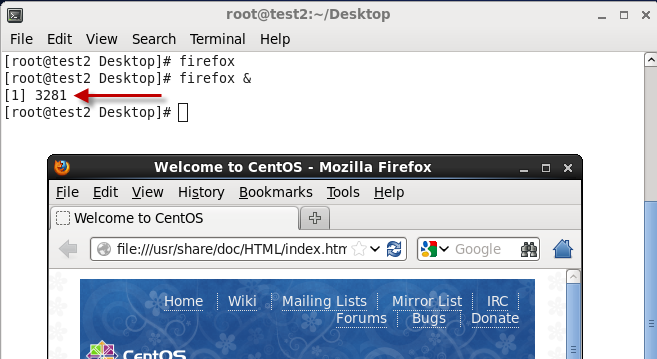 Now as you see your terminal is locked and unless you close the firefox browser you won't be use that terminal. It means your process is running on foreground.